LJ-12172 Lejon Oil Tanned Harness Leather Casual Dress Belt with Arrow Stitching Design. 1-3/8" = 35mm wide Soft Quality Leather Belt Strap. Stitched Edges for Durability. 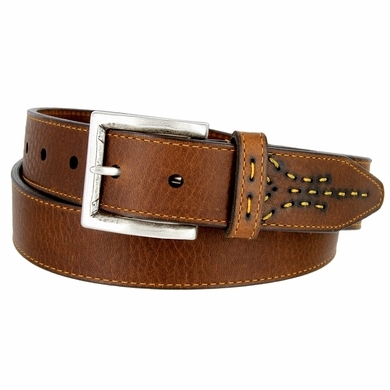 Comes with a Stitched Antiqued Silver Italian Belt Buckle and a Matching Loop.